PI198. 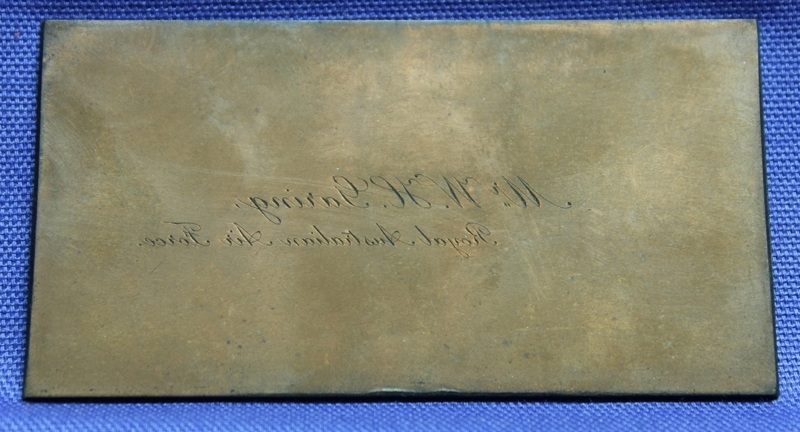 A business card printing block name to W. H. Garing Royal Australian Air Force. William Henry Garing enlisted on 10 Dec 1930 and discharged on 29 Jul 1964 as an Air Commodore from Headquarters Edinburgh. PI198. Wrapping paper for plate. PI201. 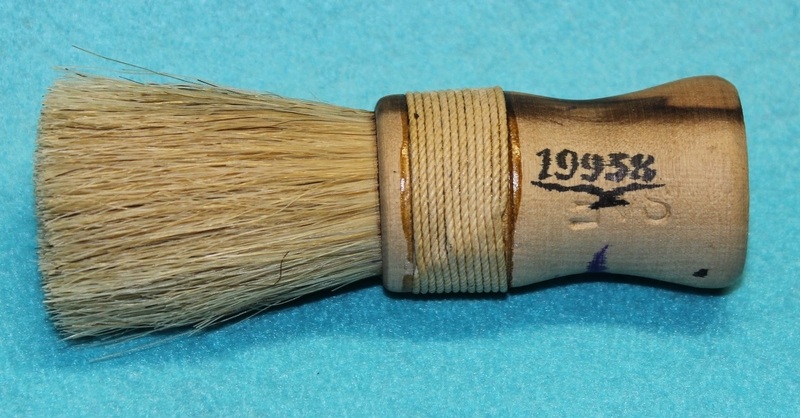 A wood and bristle shaving brush stamped 19938. Joseph Ian McKee enlisted on 11 Dec 1940 at Melbourne and discharged on 4 Dec 1944 as a Leading Aircraftman from 1 Aircraft Depot. PI221. 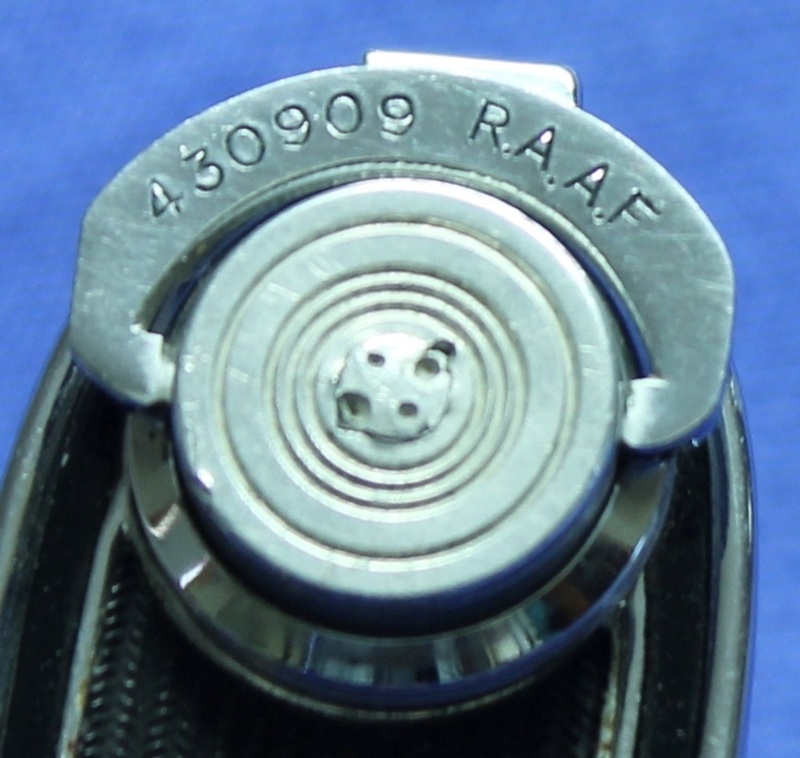 An AGFA brand bellows camera engraved to 430909 Swindley. Frederick George Swindley enlisted on 20 Apr 1943 at Melbourne and discharged on 16 Nov 1945 as a Flight Sergeant from 99 Squadron. PI221. Service number engraved on camera. 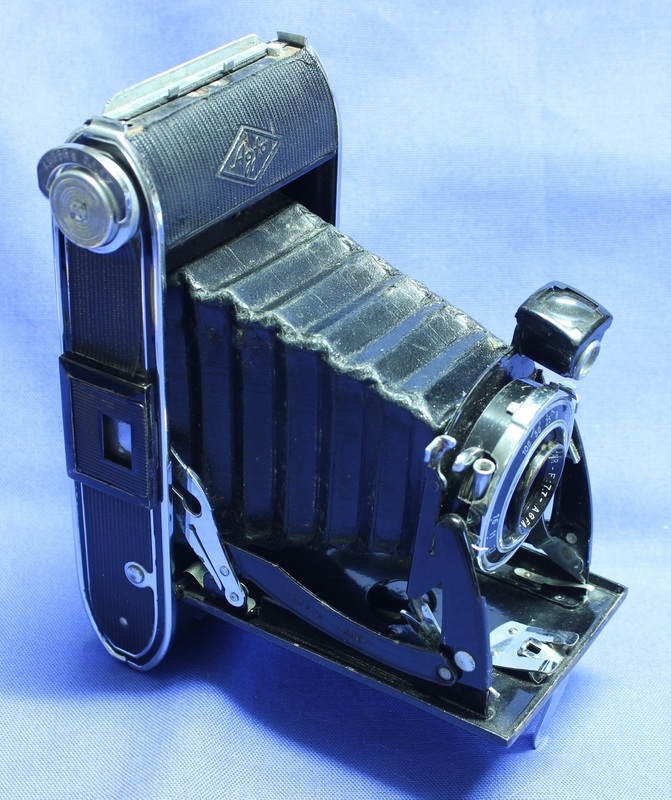 PI221. 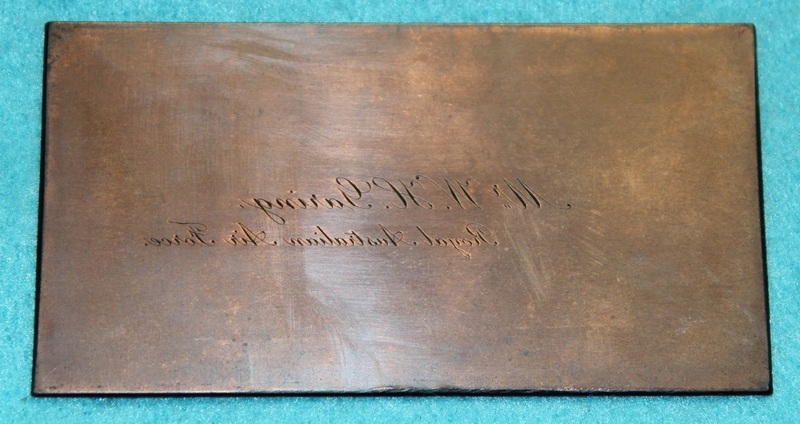 Owners name engraved on frame. PI232. A wooden clothes/shoe brush marked 439816 in paint. Kenneth Robert Meadley enlisted on 31 Jul 1943 at Sydney and discharged on 13 Feb 1946 as a Warrant Officer from 9 Aircrew Holding Unit. PI244. 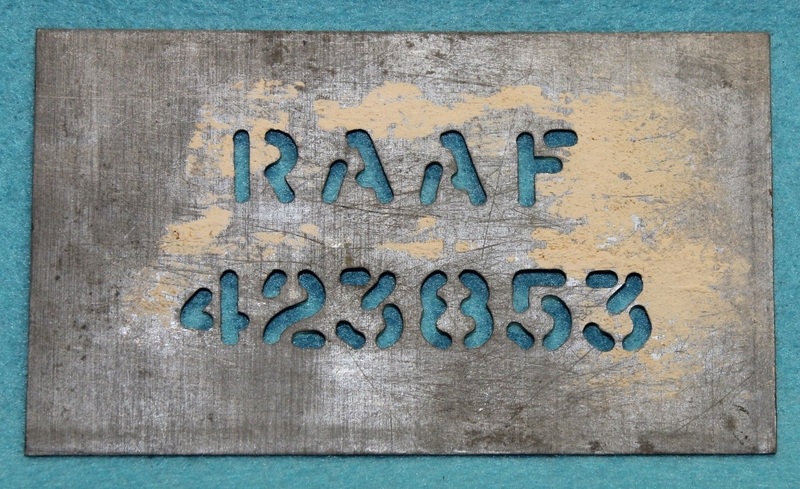 A metal stencil for marking personal effects to 423853 RAAF. Keith Edward Neal enlisted on 18 Jul 1942 at Sydney and discharged on 4 Jun 1946 as a Warrant Officer from Eastern Area Headquarters. PI245. 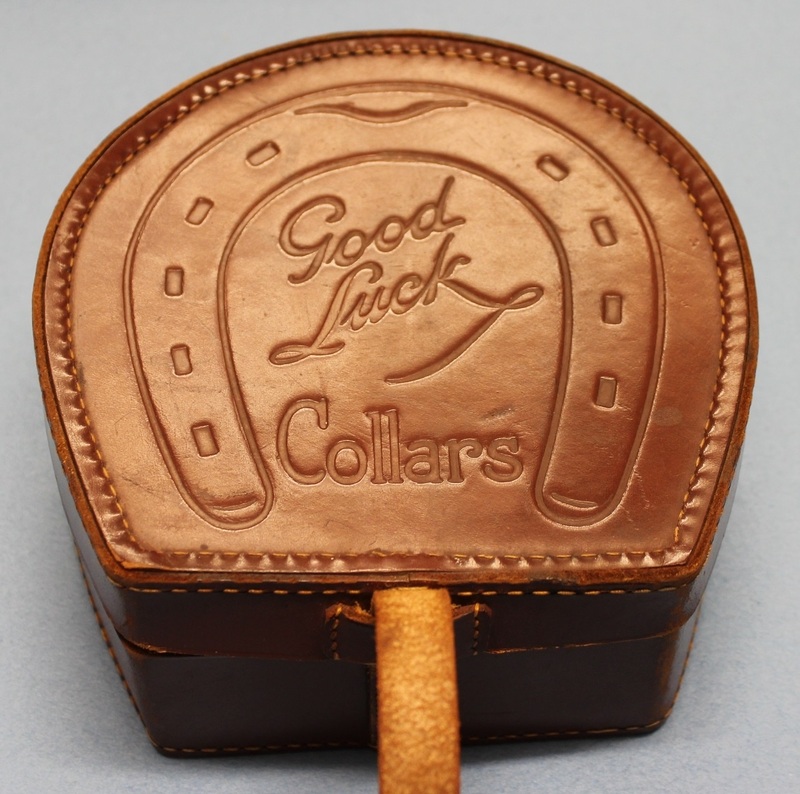 A brown leather box in the shape of a horse shoe marked “Good Luck Collars” and stencilled inside is “RAAF 410825”. Edward Alexander Williams enlistment date and location are unknown but he discharged on 21 Mar 1946 as a Flight Lieutenant from 1357 BAT. PI245. Service number inside box. PI250. 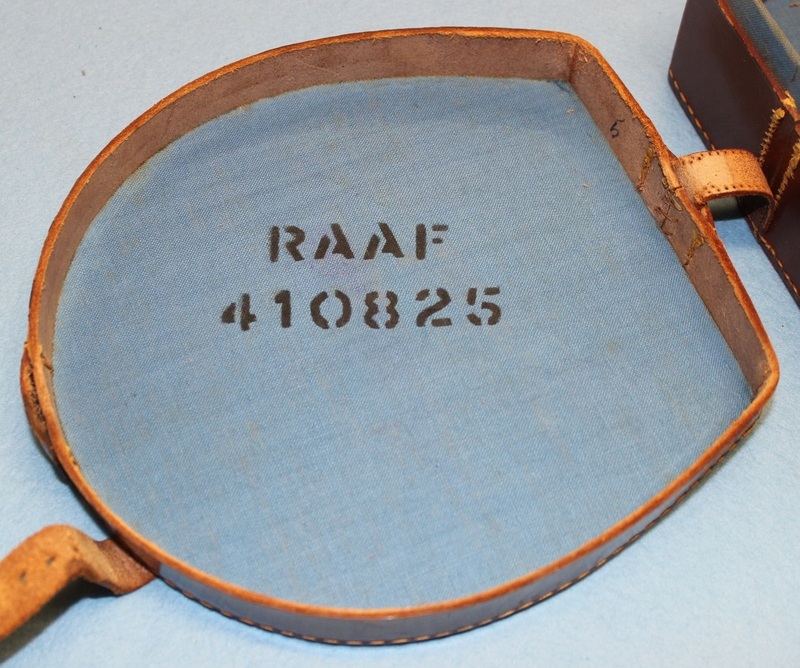 A pair of cufflinks engraved T. W. P. 45271 RAAF. Thomas William Puddey enlisted on 16 Jul 1941 at Perth and discharged on 28 Nov 1945 as a Leading Aircraftman from 2 Flying Boat Maintenance Unit. PI251. 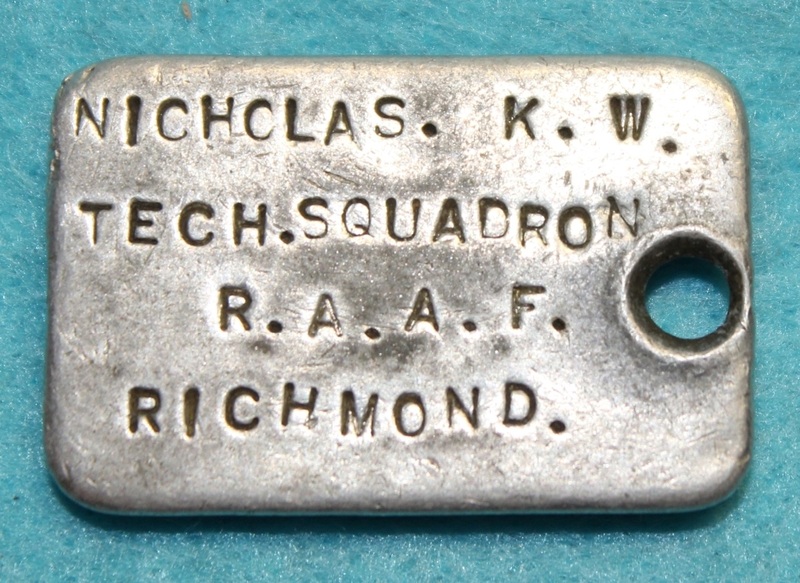 Believed to be a tool tag, named to NICHOLAS K. W. TECH SQUADRON R.A.A.F. RICHMOND, C.7729 STAMPED ON THE BACK. 207729 Kenneth William Nicholas enlisted on 5 Mar 1939 at Richmond and discharged on 7 Dec 1945 as a Flying Officer from 5 Aircraft Depot. PI251. Back view of tool tag. PI252. A 29 inch cane and silver swagger stick with a silver RAAF button on the end. PI252. Button on the end.